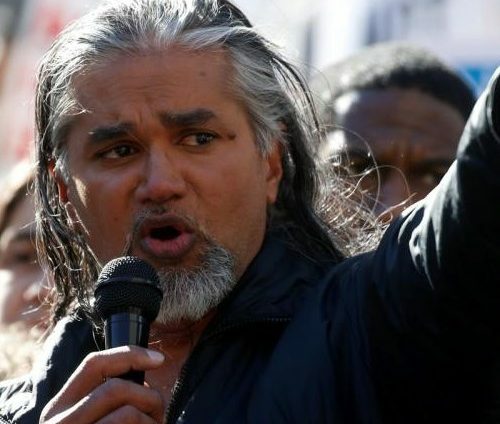 Ravi Ragbir is a nationally recognized immigrant rights activist and organizer who serves as the Executive Director of the New Sanctuary Coalition of New York, where he works directly with those who are facing deportation to empower them in the struggle to remain in the United States. He has trained numerous advocates from immigrant and allied organizations on the impact of immigration policies, on creating sanctuary spaces, and accompanying immigrants through the challenging deportation process. Ragbir and his team at New Sanctuary Coalition have developed a clinic that brings together unrepresented immigrants who are facing deportation with volunteers to assist in their court cases, and coordinates a large accompaniment program. He has testified before the New York City Council, presented at local and national conferences, and provides information on immigration to city and state agencies, and to consulates. Ragbir has first-hand knowledge of the deportation system because he is facing removal. He is fighting to remain here with his family, friends and supporters.